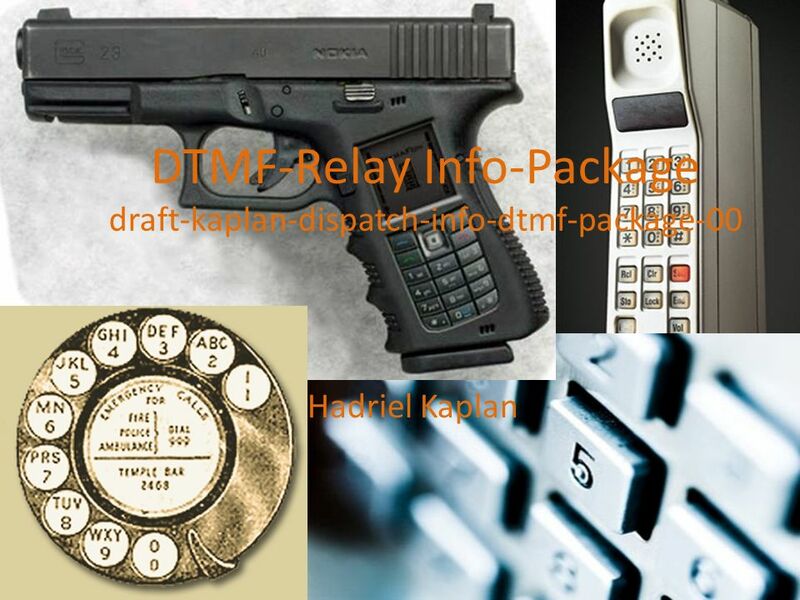 DTMF-Relay Info-Package draft-kaplan-dispatch-info-dtmf-package-00 Hadriel Kaplan. 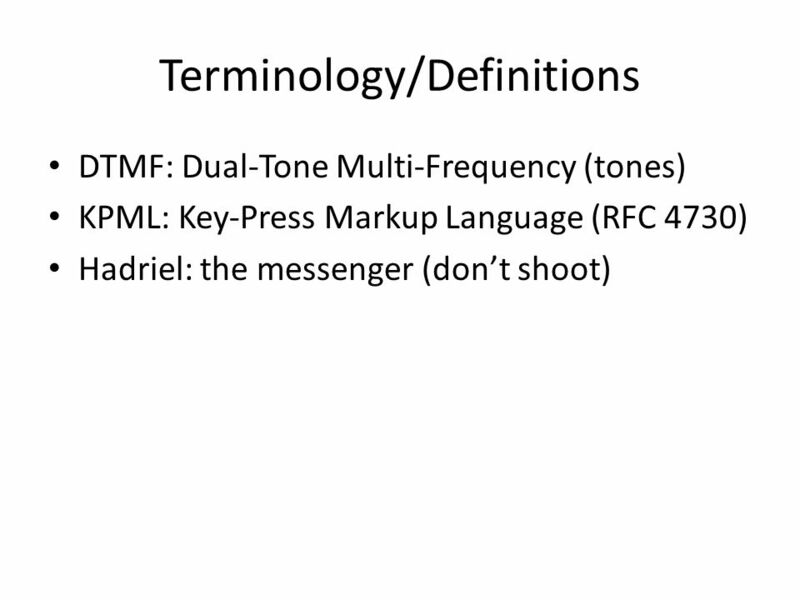 Download ppt "DTMF-Relay Info-Package draft-kaplan-dispatch-info-dtmf-package-00 Hadriel Kaplan." 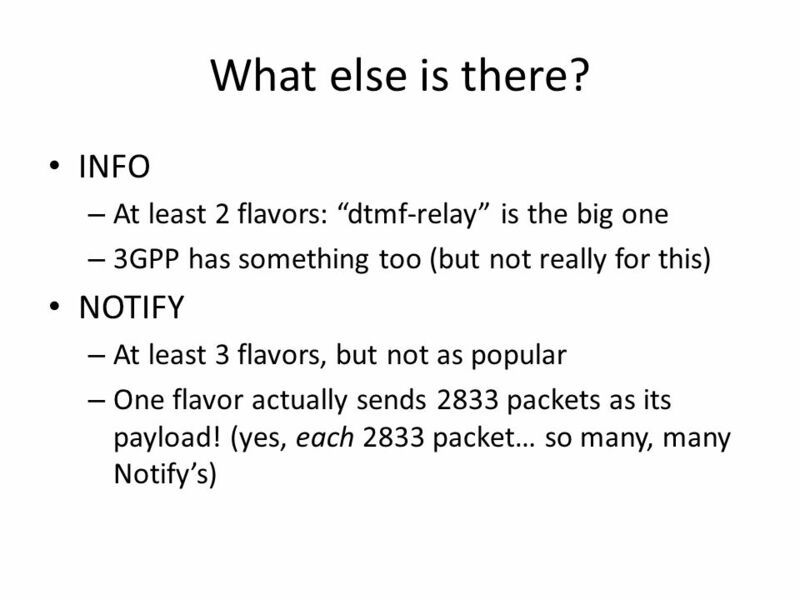 SIP-T Status Update Jon Peterson Level(3) Communications 49 th IETF. SIP Session-ID draft-kaplan-sip-session-id-02 Hadriel Kaplan. SIP Secure Call-ID draft-kaplan-sip-secure-call-id-00 Hadriel Kaplan. MARTINI WG Interim draft-kaplan-martini-with-olive-00 Hadriel Kaplan. Negotiation Tips No. 112 Third party influence I generally keep well away from political negotiations. I much prefer the smell of money when Im negotiating. dynamicsoft Inc. 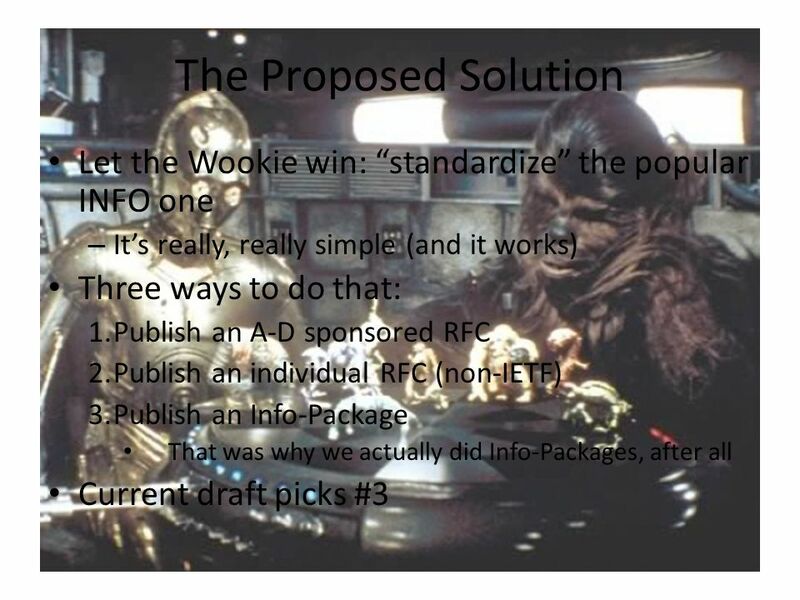 Proprietary VON Developers Conference 1/19/00 C O N N E C T I N G T H E W O R L D W I T H A P P L I C A T I O N S.
SIP Interconnect Guidelines draft-hancock-sip-interconnect-guidelines-02 David Hancock, Daryl Malas. 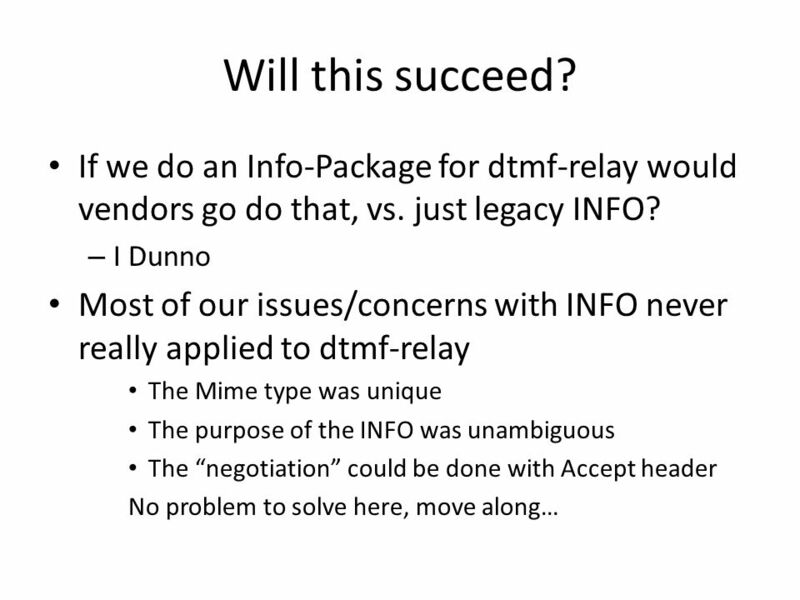 DISPATCH WG RTCWEB Adhoc IETF-80. 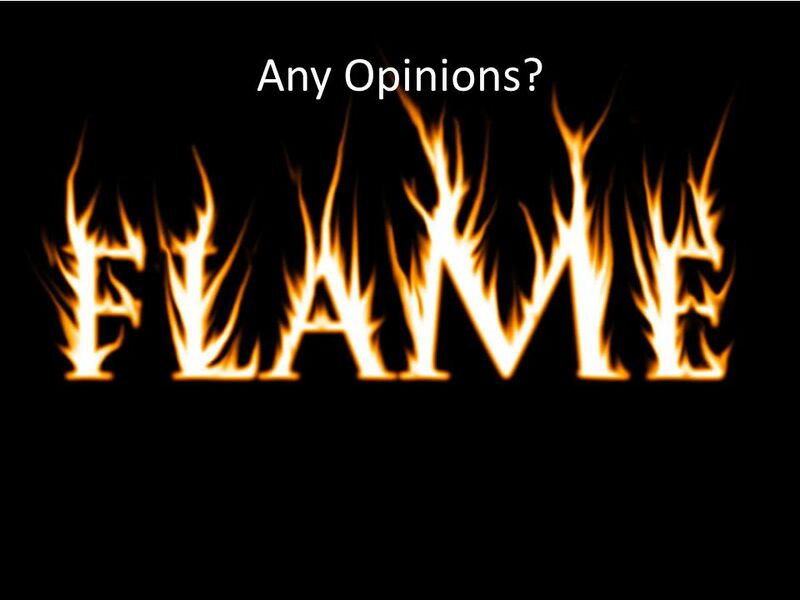 Note Well Any submission to the IETF intended by the Contributor for publication as all or part of an IETF Internet-Draft. 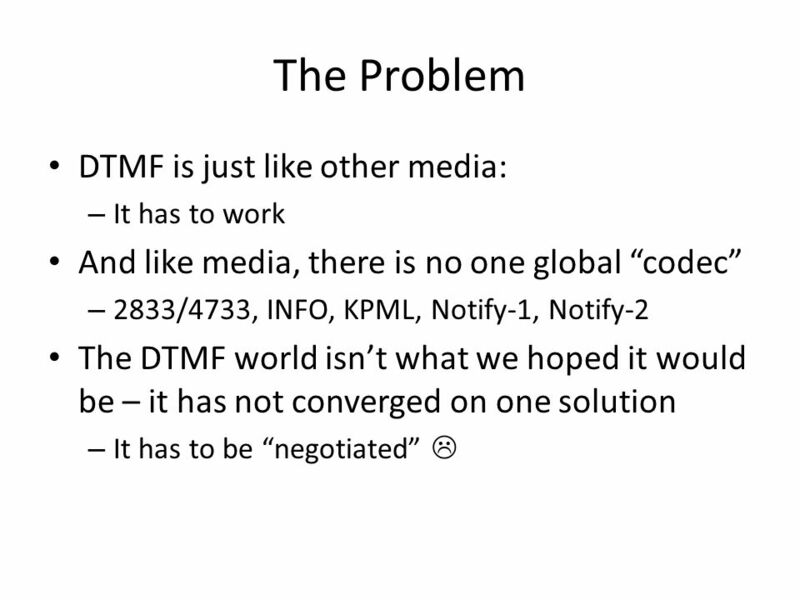 Negotiation and Extensibility Cullen Jennings IETF 80. Facebook in the public sector Getting senior management buy-in Darren Caveney I 14 March 2012. 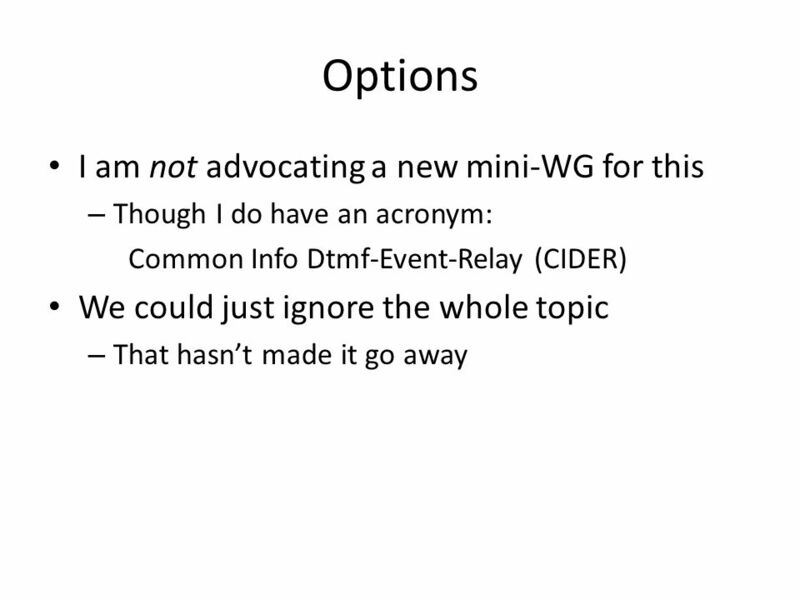 Rfc4474bis-01 IETF 89 (London) STIR WG Jon & Cullen. 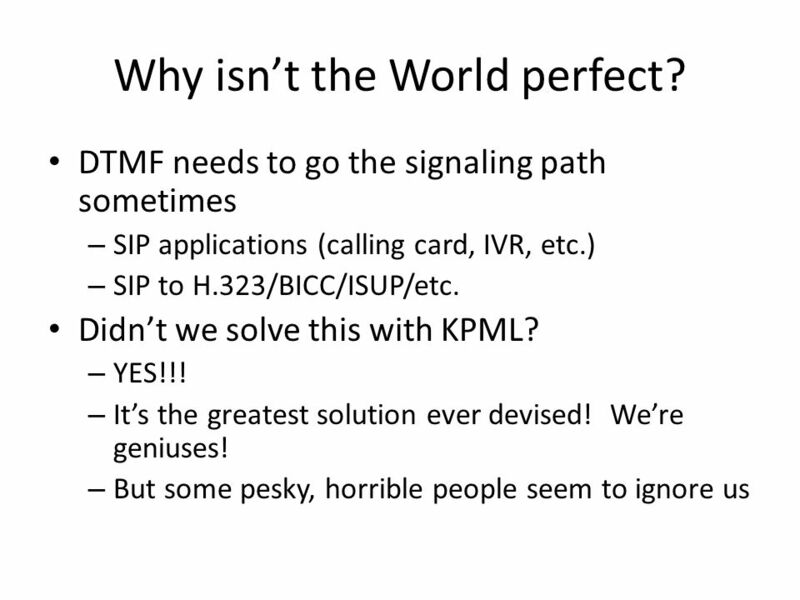 Some early SIPREC interop testing results Hadriel Kaplan. Media Advocacy Ellen Andrews December 18, 2003 Hispanic Health Council. 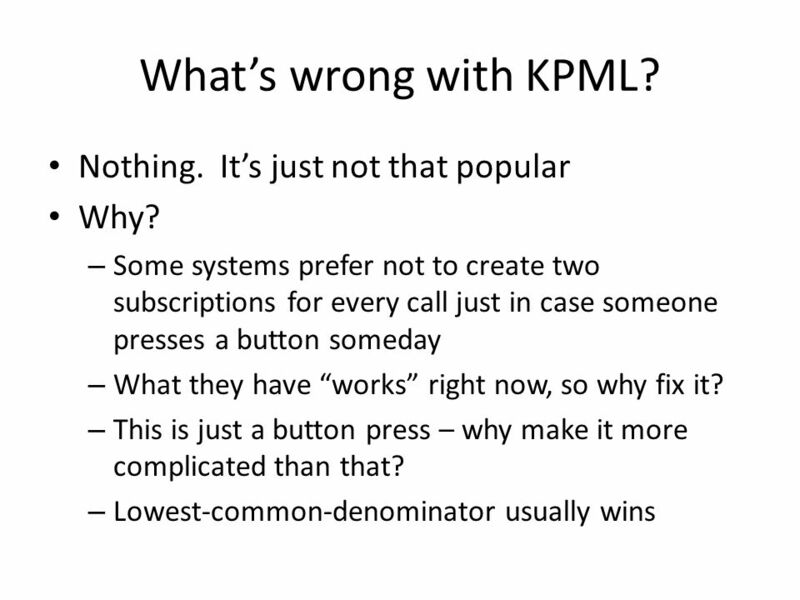 From Extensibility to Evolvability Once upon a time, HTTP was simple – what happened? Martin Dolly, Gary Munson AT&T Labs James Rafferty Cantata Roni Even Polycom draft-dolly-xcon-mediacntrlframe-03.txt draft-even-media-server-req-02.txt. 7.3 Reduce Rational Expression Before we start, let’s look at some definitions… A Rational (Rational Expression): A fraction that has a polynomial (something. RFC 2050 Working Group Presentation by Cathy Wittbrodt Packet Design Original presentation by Mark McFadden University of Wisconsin - Milwaukee.